I love your reviews and have gotten lots of great book recommendations from your blog, so thanks! 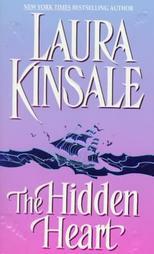 It also helps to remember that The Hidden Heart was Laura Kinsale's first novel. She was just a newbie then, still learning her skills.